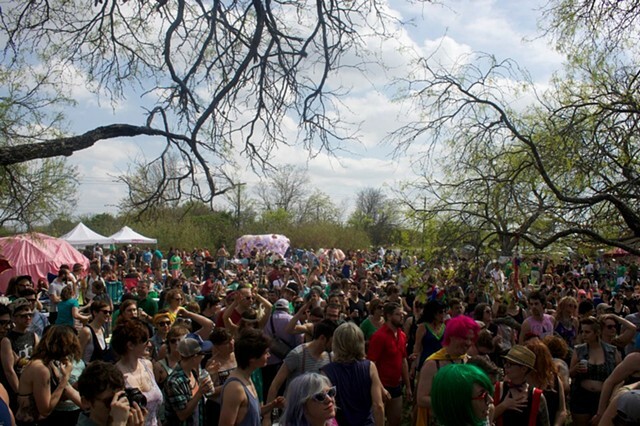 gaybigaygay is an annual free queer music fest ive organize with hazey fairless since march 2006 in the backwoods of austin texas. started as a backyard party, it is now an event that draws 3000+ attendees and the awesomest queer performers from all over the world. it is always free! all-ages! anti-capitalist! and non-corporate/sponsor-free!